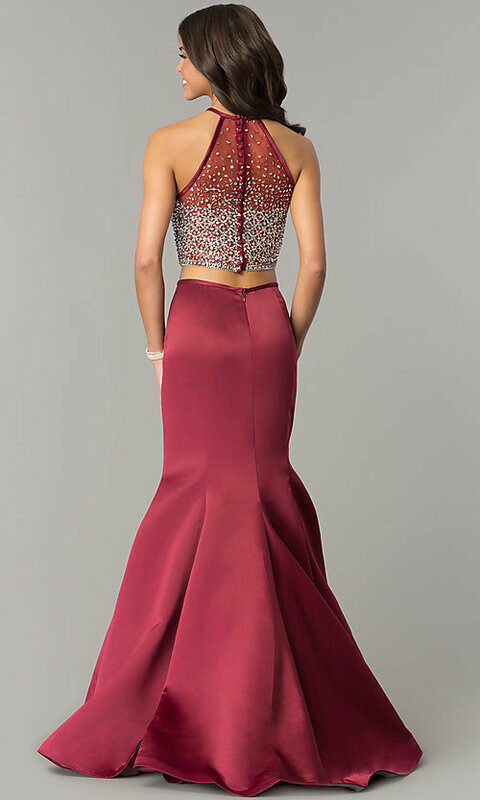 Unfortunately, the dress you are looking for (Style: DJ-A6603, Name: DJ-A6603) is no longer available. 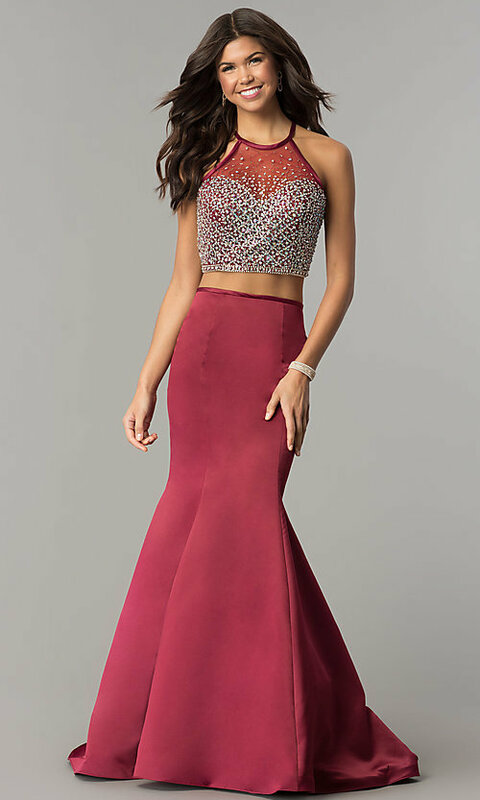 The faux button back top of this long two-piece mermaid prom dress is embellished with beads and rhinestones. Top 14", Bottom 46", Hollow to Hem 60"